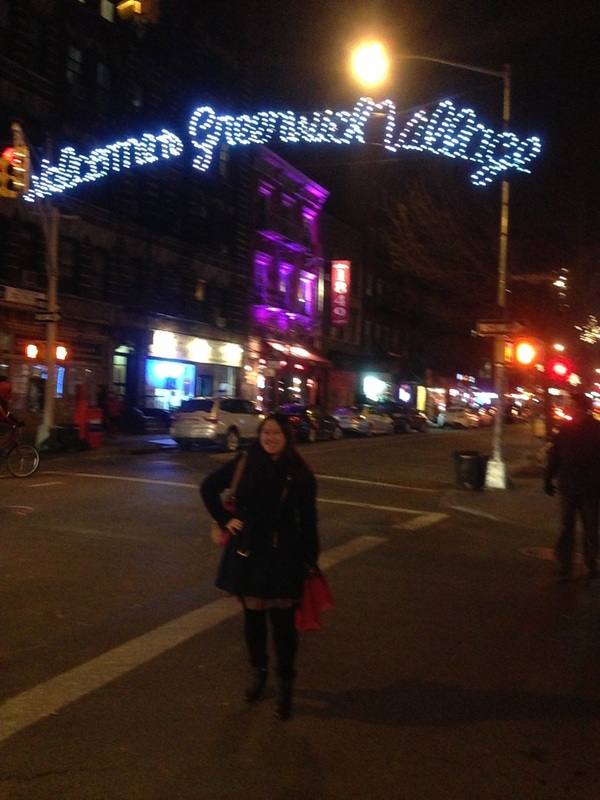 My last evening in New York City before heading home to California for the holidays was mostly spent in Greenwich Village. Though, first I stopped by Tory Burch in SoHo to use my $50 birthday gift card. I picked out a classic Tory Burch shiny hot pink bracelet (the kind that wraps around twice) with gold circle detail that has the Tory Burch logo etched on. It definitely cost more than I would normally spend on jewelry, but the gift card definitely helped. 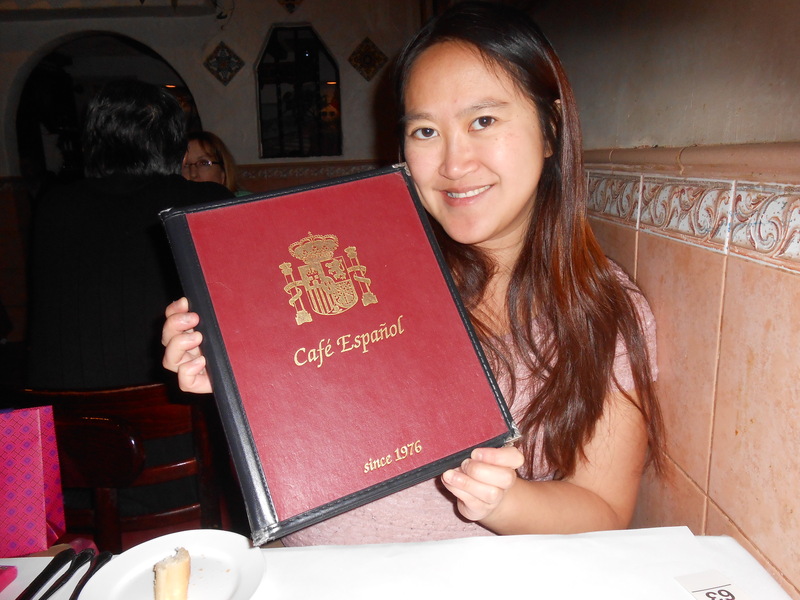 After Kado, my friend suggested dinner at Café Espanol which was conveniently just down the street. It’s a cozy little restaurant and decorated with plenty of holiday cheer. We decided to order from the prix fixe menu ($21.99) which was quite good, however did not cover dessert much to our dissatisfaction. 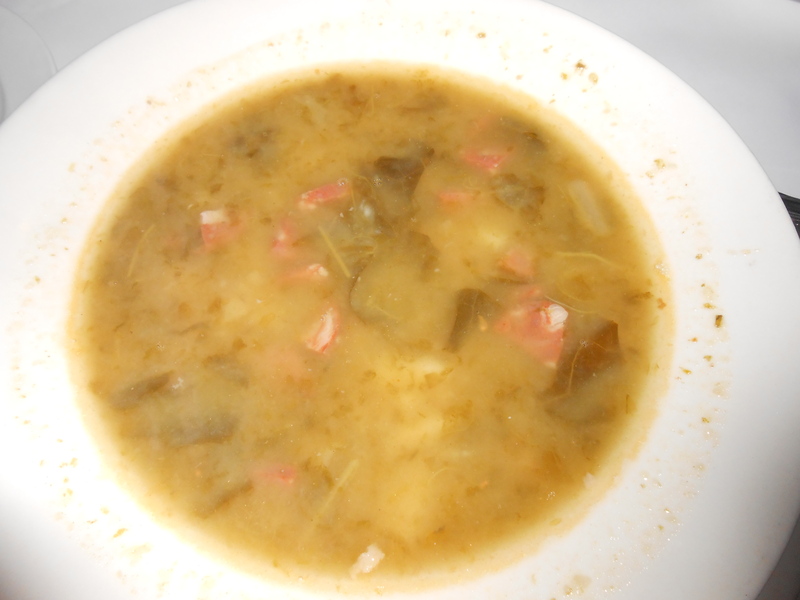 I started off with Caldo Gallego Soup, which is white bean soup with cabbage, greens, potato and pork. I enjoyed it for the most part, but I didn’t expect the beans because the waiter’s description was quite vague. Overall, it was pretty tasty and very hearty. I then had the Croquetas (chicken and Serrano croquettes) for an appetizer. There were six croquetas total which was a lot more than I was expecting. And they were delicious! 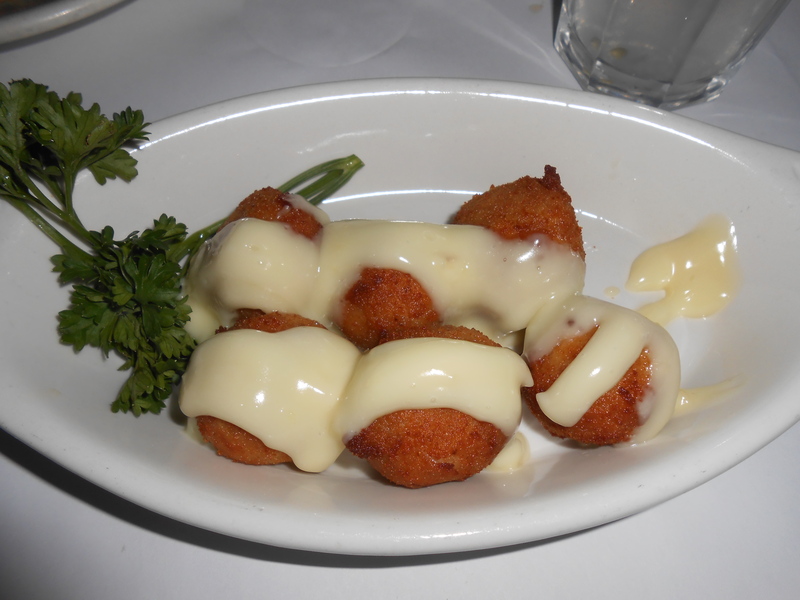 Little fried balls with chicken and ham inside, with béchamel white sauce. It was crispy on the outside and soft, meaty, flavorful on the inside. There was so much of it that it almost ruined my appetite for the main course. I said almost. For the entrée, I picked tilapia filet with saffron rice. 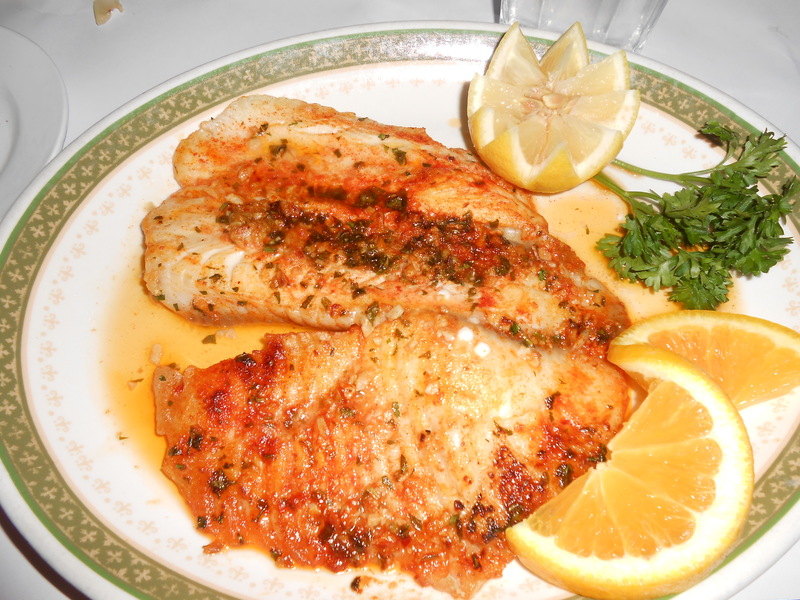 The tilapia was a nice large portion and seasoned well with pepper, herbs and a light sauce. It was decent, but would have liked it more if it was cooked more to a crisp. 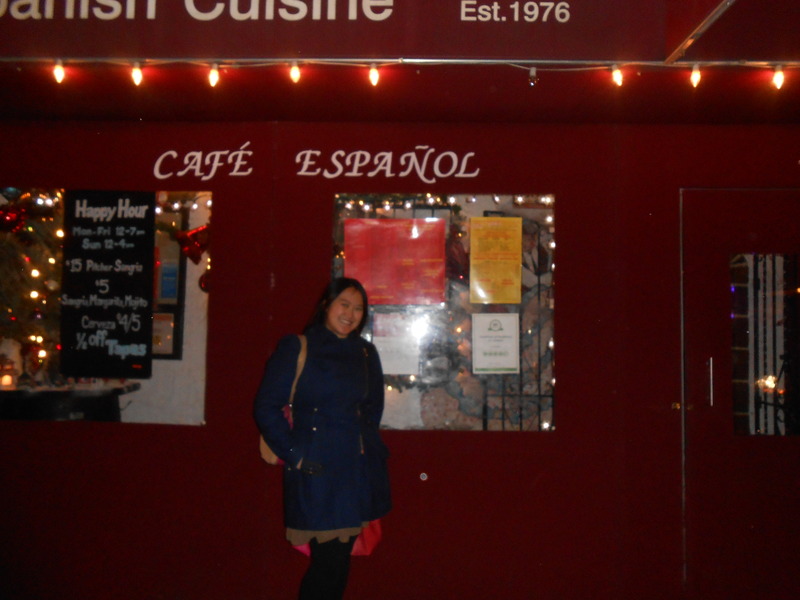 I did enjoy the saffron rice with peas and mixing it with the sauce that came with the fish. After our meal, a waiter came over with a tray full of delectable looking desserts (flan, crème brulee, tres leches, cheesecake, chocolate mousse cake) which looked very tempting, but for once we were too full to partake in any dessert. It turned out to be a truly lovely evening, despite the fact that Slide was closed. 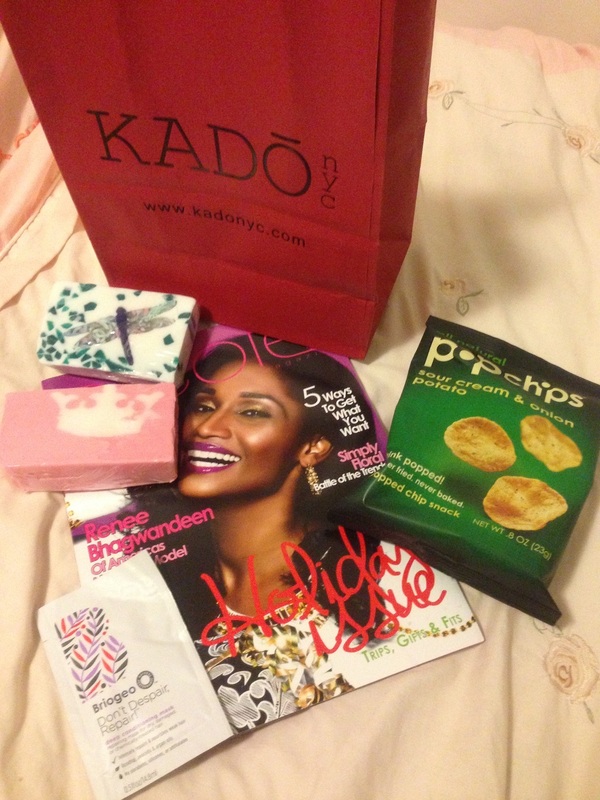 The Kado holiday party and dining at Café Espanol more than made up for it. wonderful! i love that bracelet you got. it’s such a great, fierce pink color! you’ll definitely rock it! also, that fish looks delicious and i would have loved the croquettes, too. yum!